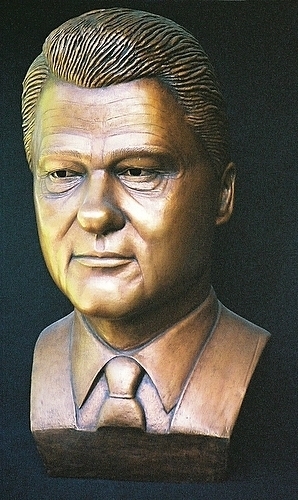 Bill Clinton bust sculpture. Large ceramic sculpted bust made sa pamamagitan ng Modesto, Calif. artist Mark O'Bryan. This original artwork is available for purchase. See my art site:. Wallpaper and background images in the Bill Clinton club tagged: clinton bill clinton president bust sculpture presidential portrait bust presidential art.